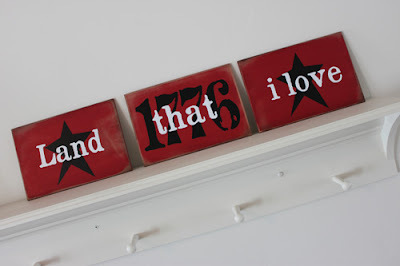 Andy created these fun wood signs for the 4th of July. I have been trying to think of a fun phrase to use for some 4th of July decorations and I love that she used 'land that I love'. You can see how she made the signs and also download a free printable version to frame and use in your home over at Poppies at Play.